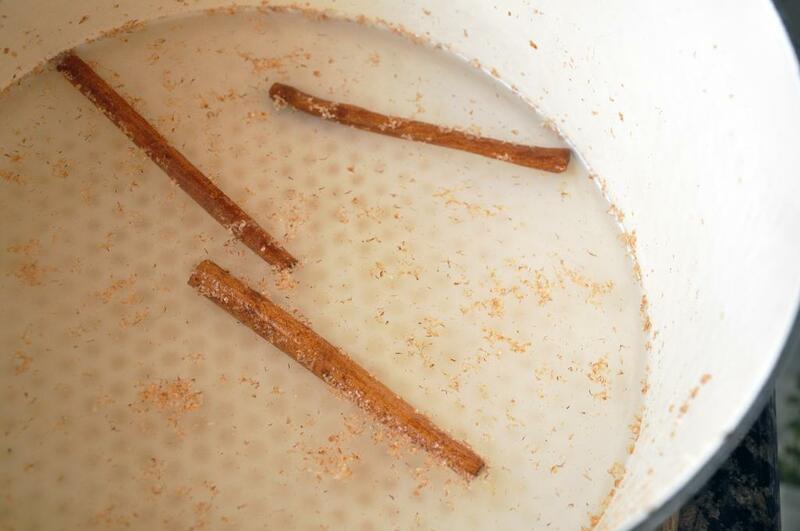 In a large pot, combine 1 1/2 cups water, sugar, cinnamon and nutmeg. Stir until sugar dissolves and bring to a boil. Reduce heat to low and simmer. Meanwhile, cut oranges in half and juice them. Stir the juice into the sugar water. 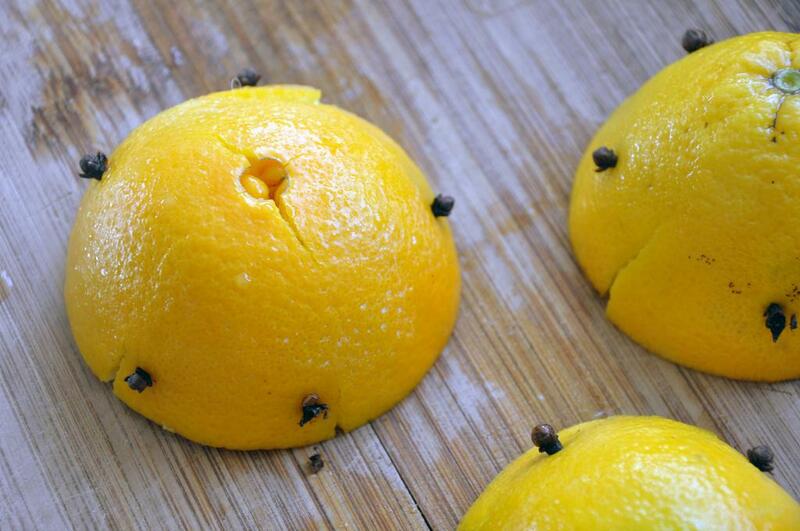 Push the whole cloves into the juiced orange halves and place them gently in the pot. Simmer for 30 minutes. 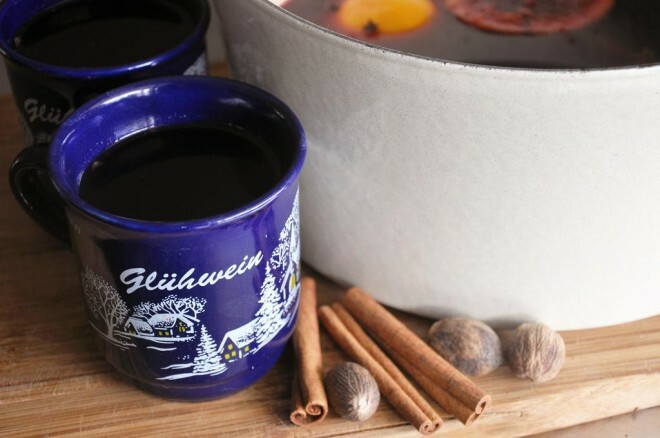 Pour in the wine and heat thoroughly for another 30 minutes. Taste and adjust for sugar and spice. Serve and enjoy!